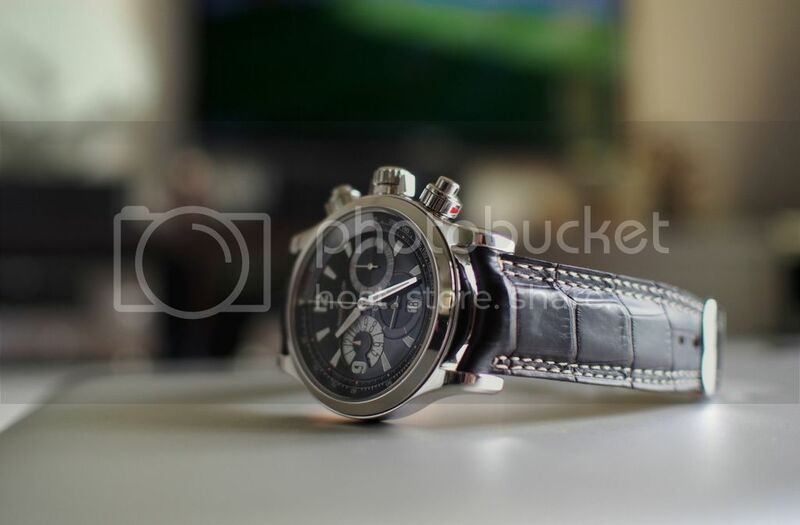 TimeZone : Jaeger-LeCoultre » Master Compressor Chrono, 10 years on. Time flies. It doesn't feel like I've had this for 10 years. In that time, I've had an anti-reflective coating applied on the underside of the crystal at the factory, had one general service done at the same time, and one repair of the chronograph mechanism under warranty (inexplicably broke). All the while, it's run flawlessly. However, the main crown is starting to grind when twisting to lock it, and it's begun to run slow. Looks like time for a full service. Gonna call the boutique to get a quote soon. Next Topic: Turns out this is a landmark year for another watch.